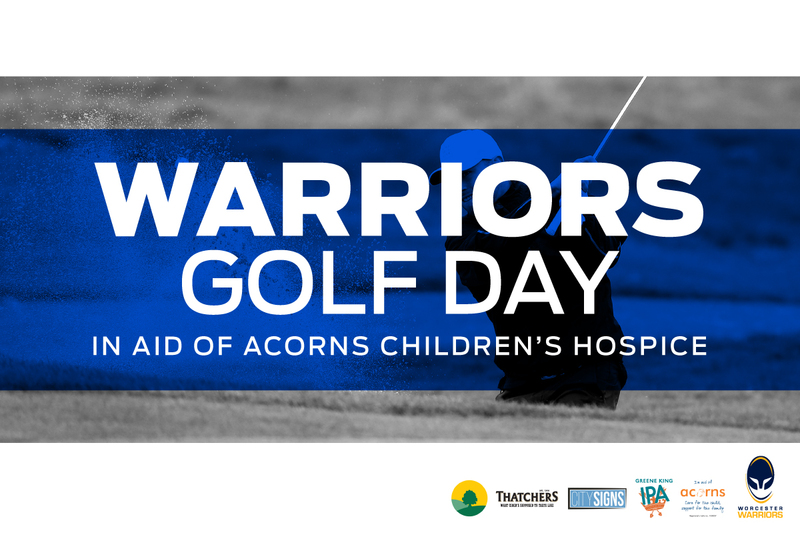 The Vale Golf & Country Club in Evesham will host Warriors’ annual Charity Golf Day on Wednesday 18 April in aid of Acorns Children’s Hospice. The Vale’s International par-74 course offers the perfect balance between a golfing challenge and the natural aesthetics of the superb Midlands location, and you can play alongside a Warriors player or coach at our annual event this April. Entering a team costs £350 +VAT with one of two options available. Teams can submit either a four-ball, or a team of three along with a Warriors player or coach to complete your team. The price also includes tea, coffee, a bacon roll, refreshments on the course, a goodie bag, a two-course meal and competitions on the day. Nicol & Co Estate Agents were last year’s winners of the event, with the assistance of Warriors’ Marco Mama, as they won the stableford competition – which will again be the scoring system used in this year’s event. Registration for the event is at 10.30am for a 12pm shotgun start. To book your place, email laura.napper@warriors.co.uk or call 01905 459314. All proceeds will go to Warriors’ Charity Partner Acorns Children’s Hospice. To download an entry form please click here.